Staphylococcus aureus (SA) is the leading cause of bloodstream infection (BSI). The incidence of methicillin-resistant SA (MRSA) has decreased in France and Europe since one decade. Early and precise prediction of methicillin susceptibility is needed to improve probabilistic antibiotic therapy of MRSA-BSI. The aim of this study was to identify MRSA-BSI risk factors at admission and evaluate which patients need costly rapid diagnostic tests. 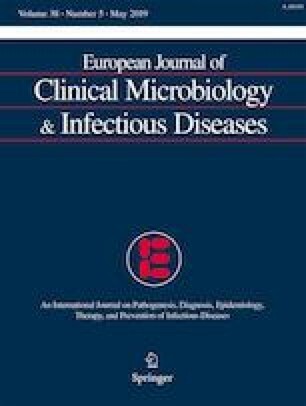 A single-center retrospective descriptive study of all diagnosed SA-BSI was conducted in a French University Hospital between January 2015 and December 2016. All medical charts were reviewed. Univariate and multivariate analyses by a logistic regression model were performed on the data. We then build a prediction score of MRSA-BSI by assigning one point for each of the risk factor identified. During the study period, 151 SA-BSI were identified including 32 (21%) MRSA-BSI. In multivariate analysis, three factors were associated with MRSA-BSI: coming from long-term care facility, known previous MRSA colonization and/or infection, and chronic renal disease. Among our population, respectively, 5% and 100% had a MRSA-BSI when no or three risk factors were identified. Therefore, among the PCR performed, 43 (96%) could be avoided according to our clinical score. In our study, methicillin-susceptible SA and MRSA-BSI can be predictable by counting MRSA risk factors. This prediction rule could avoid the use of expensive rapid diagnostic tests. Prospective studies and prediction rules could help physicians to predict SA-BSI susceptibility to improve appropriate empiric therapy choice. Ethical approval was not required as all procedures were part of our routine care. All procedures performed in this study involving human participants were in accordance with the ethical standards of the institutional committee and with the 1964 Helsinki Declaration and its later amendments. This article does not contain any studies with animals performed by any of the authors. All data of this retrospective study were fully anonymized before the study authors accessed them.